Hawaii officials say they hope to get Japan Airlines to reconsider its decision to end Kona service, or find another carrier to do it. Japan Airlines plans to reduce daily airlift into Hawaii by about 800 passengers a day, eliminate its Kona route despite lobbying from state leaders, and add a flight from Haneda International Airport to Honolulu as part of the company's government-backed bankruptcy restructuring. The Hawaii Tourism Authority reported improving visitor arrivals and visitor spending across the state in March, the agency said Tuesday. 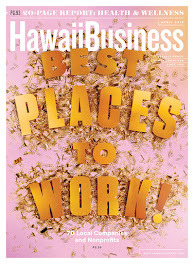 Maui island led all others in the state in drawing the highest percentage increases in visitor arrivals and in tourist spending in March, compared with the same month last year, state tourism officials said Tuesday. Under a new law landowners will be responsible for maintaining an open corridor on the beach. State lawmakers gave final approval yesterday to a bill that would authorize $67 million from the state's Hurricane Relief Fund to eliminate teacher furloughs next school year. State lawmakers have given final approval to the use of $67 million from the Hawaii Hurricane Relief Fund toward restoring public school furlough days and now wait to see whether an agreement can be reached to return teachers and students to the classrooms. A domestic violence resolution designed to make sure judges stick to the law and not grant batterers child custody, is just one final house vote away from passing. Hawaii County Fire Chief Darryl Oliveira and South Kona Councilwoman Brenda Ford are cheering a bill the state Legislature passed Tuesday giving counties control over fireworks. The House and Senate passed into a law on Tuesday a bill that raises the maximum salary for the state department of education superintendent and other department officials. A naval exercise that brings to Hawai'i's shores thousands of service members from the U.S. and foreign nations, an aircraft carrier, beach landings — and millions in Waikīkī tourist dollars — is returning between late June and early August. State Sen. Will Espero doesn't believe for a second that the end of the "birther" conspiracy theory is near, but he hopes lawmakers gave understaffed and overwhelmed Health Department officials a new tool against persistent requests for President Obama's Hawai'i birth certificate. 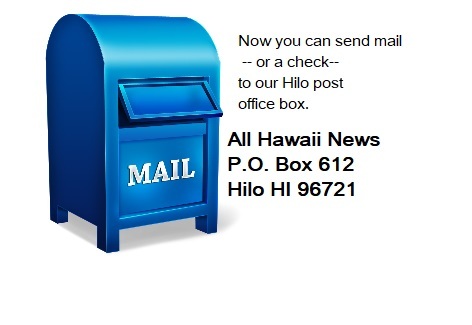 Despite the fact that Honolulu’s special congressional election has largely been reported as a race between three familiar, highly polarizing politicians, the ballots that will begin to appear in Honolulu voters’ mailboxes next week will feature the names of 14 candidates. The consolidation of Honolulu's two rival dailies is expected to begin one minute after midnight on Monday when Honolulu Star-Bulletin owner Black Press concludes its purchase of The Honolulu Advertiser from Gannett Co.
A city audit has found that nearly 40% of high-rise residential buildings on Oahu did not undergo fire inspections every two years as required. The Honolulu Fire Department hasn't caught up with the computer age, leaving it with incomplete records of the island's 600-plus residential high-rises and the violations and hazards found in them, according to the city auditor. A broad, slow-moving flow has come within a few dozen feet of the county's public viewing area. A proposal to cut the Maui County's work force by eliminating vacant positions could result in disruptions of county operations and services, department directors warned Tuesday. A Kauai County bill still in the germinating stage may lead to the explicit legalization of hundreds of existing transient vacation rentals on agricultural land. The U.S. Army's plan to monitor the air over Pohakuloa Training Area for depleted uranium has drawn sharp criticism from some Native Hawaiians, environmentalists, activists and independent experts. Now the Army has gotten an admonishment from the Nuclear Regulatory Commission.